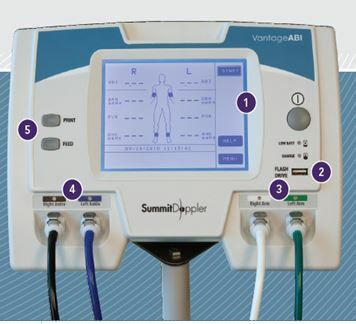 The Vista AVS is a full-featured Vascular/ABI system with 3 modalities: PVR, bi-directional Doppler probe and arterial PPG. 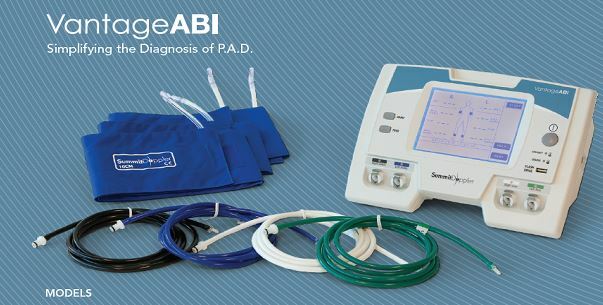 With automated cuff inflation/deflation, built-in printer, graphic waveform display with step-by-step ABI instructions, and 5 cuffs. It comes with a PC software package with full-page reporting and exam storage, including download capability for integration into EMR systems (pdf and csv file formats - USB Interface to PC). 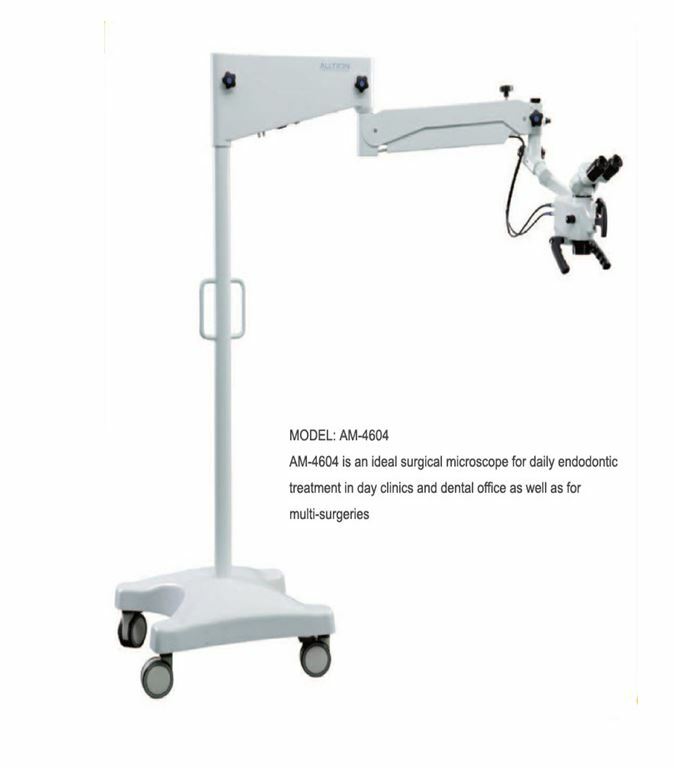 It is designed to make the ABI and other arterial exams faster and easier to conduct, interpret and document. LARGE DISPLAY - Convenient touch-screen for navigating the system. 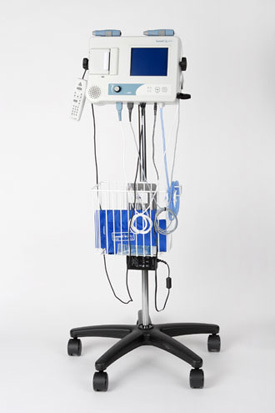 Displays patient data, exam information, instructions, and menu options. USB FLASH DRIVE - A USB memory stick is used for exporting data to a personal computer. 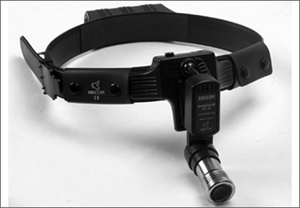 ARM CUFF HOSE CONNECTORS - Plug in the left and right (coloricoded) arm hoses to the appropriate hose connector for proper hose-to-arterial cuff site connections. ANKLE CUFF HOSE CONNECTORS - Plug in the left and right (color-coded) ankle hoses to the appropriate hose connector for proper hose-to¬arterial cuff site connections. PRINT & FEED BUM/NS Press PRINT to print out the ABI indices and waveforms from the built-in printer. PRESS FEED to feed the paper from the built-in printer. 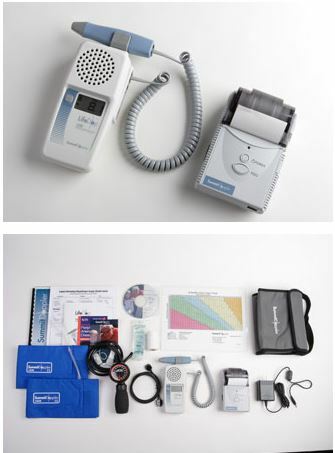 The Vantage ABI has everything needed to conduct fast and accurate ABI exams, including a graphic display with convenient touch-screen to navigate the system, an optional roll-stand with storage basket, a USB memory stick for data transfer and storage, four blood pressure cuffs and specific models have a built-in printer for printing ankle waveforms on adhesive-backed label paper. The Vantage ABI is quick and easy to use. After the cuffs are wrapped and the patient rests, with one touch, the entire ABI exam takes just 3 minutes to complete! P.A.D. is a common condition that affects 8 to 12 million people in the U.S. every year.' It is characterized by the narrowing of the arteries in the legs due to atherosclerosis. Most common among diabetics and older adults, P.A.D. is under-diagnosed and under-treated, resulting in many patients at high-risk for heart attack, stroke, leg amputation and even death. Annual testing of patients at risk is recommended by national health organizations. Early detection of P.A.D. is the key to preventing these severe cardiovascular events and the ABI exam is a common test for diagnosing RAD. RAD. is more common than heart disease, cancer and stroke. Most people who have the disease may not have symptoms. In fact, less than 30% of P.A.O. patients have symptoms.' If untreated, P.A.D. can lead to critical limb ischomia (CLI) causing gangrene, resulting in possible leg amputations. The most common symptom is claudication - pain or cramping in the legs that occurs when walking or exercising and usually subsides when at rest. Too often, claudication is misinterpreted as normal aging or arthritis pain. If a patient is experiencing claudication, it is important to address it quickly and determine if the pain is due to P.A.D. 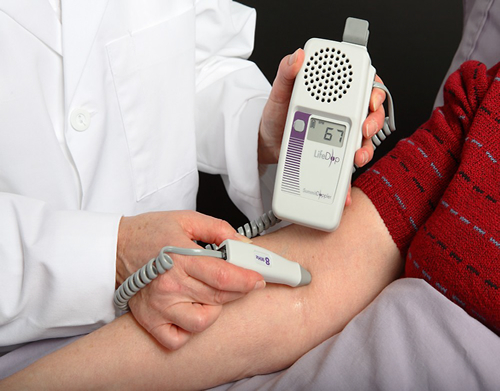 Summit Doppler Systems brings years of experience engineering high quality, non-Invasive diagnostic products. Customer satisfaction is our highest priority and we stand behind all of our products with a full warranty and guaranteed service. With continuous research and development, we are dedicated to providing new technologies to better serve the need of health care providers and their patients.